Dressing up is enormous fun for children, and Theme Days at Barracudas always go down a storm. But parents don’t have to rush out and buy an expensive superhero costume or pirate outfit, as the kids can make some props at camp. If you’d like to have a go at throwing something together at home, we can give you a few pointers to make them go “Yo ho ho”. Here’s our guide to putting together a DIY pirate costume that’s cheap and easy. If you’ve got a wannabe Captain Hook or Jack Sparrow in your midst, a homemade pirate costume will not only serve them well at camp, but will also come in handy for parties or even Halloween as a trick or treating outfit. The easiest part of your pirate costume is the top and trousers. 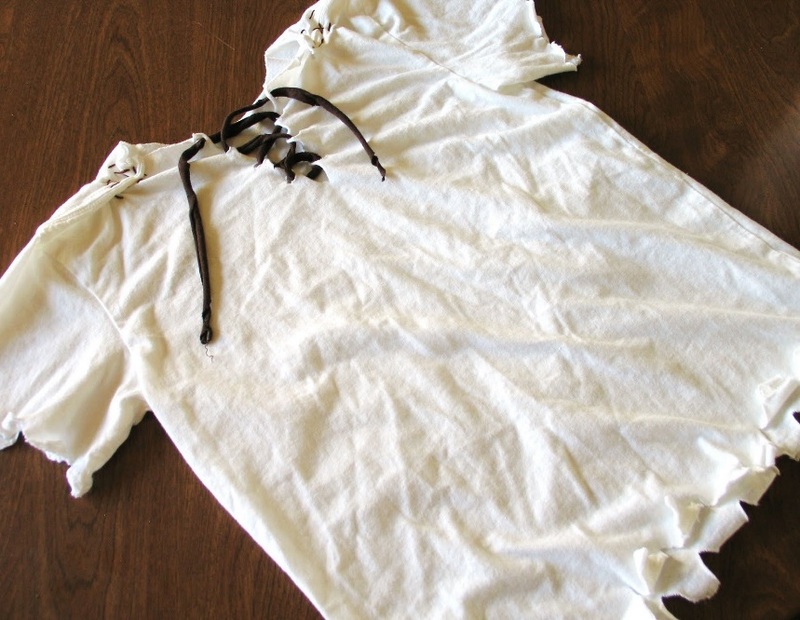 Simply take an old T-shirt – preferably white – and cut a jagged edge along the bottom and around the sleeves. Find an old pair of pyjama trousers or shorts and do the same around the legs – cutting up to the knees or just below. If you want to be more creative, cut a V-shape in the neck of your T-shirt, and punch holes down the V with a needle or scissors, before threading an old shoelace through in criss-cross fashion like this clever mum. Now you’ve got the basis of your outfit. When it comes to your pirate costume, kids will tell you it’s all about the props. A hat and an eyepatch will do the job nicely. But if you have any plastic swords around the house which will act as a cutlass, that’s even better. Or make one from cardboard. There are loads of pirate costume ideas online to help you put together the rest. Here’s a great guide to making your hat and eyepatch – although we’d recommend using black coloured card, which is much easier and less messy than painting cardboard black. 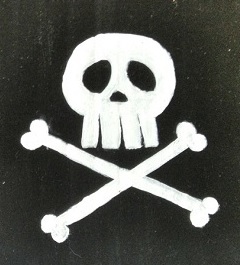 A bit of white paint – or even Tippex if you have it – will work well to paint a simple skull and crossbones, which doesn’t have to be perfect. Finally, if you’ve got enough energy left to make a cutlass, simply cut a sword shape out of cardboard, and glue tin foil to the part which is meant to be the blade. This great guide shows you how it’s done. The best costumes are made with items you have lying around the house. And the children will feel a real sense of achievement from helping to make their outfit, putting their own stamp on the design. Now your little one is free to go in search of buried treasure. And, more importantly, you haven’t paid a King’s ransom to make it happen.